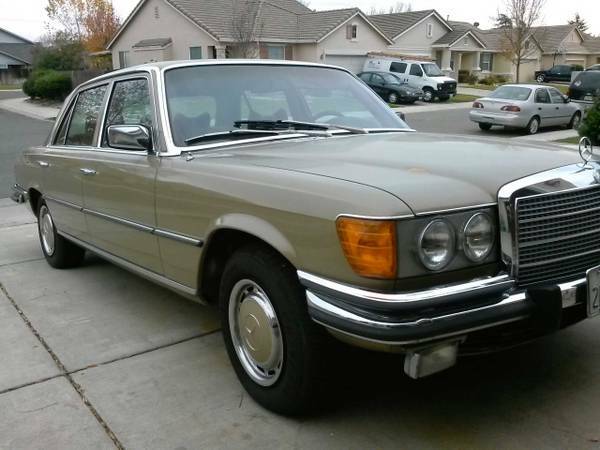 As a follow-up to the cheap-meat W116 Mercedes 280SE from late last year, there are other options out there for you if you’re put off by the questionable origin of that car, albeit at a much higher price. Incidentally, that car is now down to all of $450, with a bit more of a realistic description of the car’s needs. And that puts today’s feature car at a significant multiple of the cheap-meat one – you’ll pay 8.5 times the price to have a car you won’t have to smog that’s also said to be in good condition. 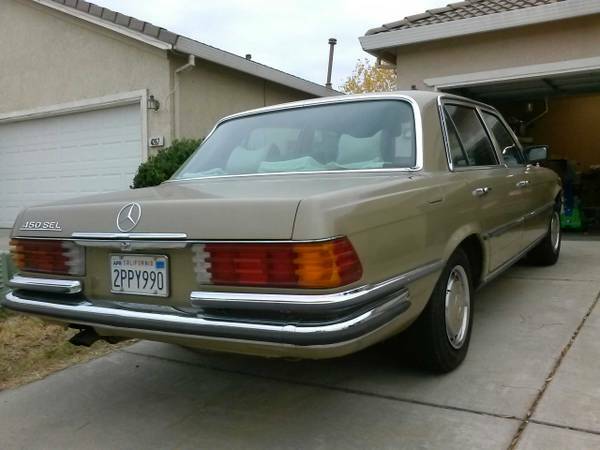 Check out this 1973 Mercedes 450 SEL, for sale for $3800 in Sacramento, CA. Looks pretty good from the outside – glossy paint in a period-correct (but not too period-correct, like brown or cream) hue, slender chrome bumpers, and strangely stacked wipers in what was no doubt an attempt to clear the glass more effectively. If you’re a modifying type, how about some European headlamps and/or Ronal wheels? The seller only divulges one or two useful bits of information – he drives it 10 miles per week, and he’s the second owner. The 450 SEL badge means this car has the M117 V8, putting out a disappointing 165hp in its D-jetronic version, but a more satisfying 278 lb.-ft. of torque. As such, the engine should be fairly understressed, and given its application in settings as diverse as the AMG Hammer, Sauber C8 and C9, Isdera i108, and Mercedes’ passenger cars, a well-cared-for engine should last quite long. This car appears to have 267,000 miles, at least based on the seller listing the odometer reading as 267. As an L version, you get 100mm extra of length, and you’re only one step down from the 450 SEL 6.9. While it’s a large step, you also won’t be buying 11 quarts of oil at every change. Looking for a classic to do frequent runs along I5? Here’s your ringer, and the CHP won’t even notice you doing 100. This entry was posted on February 26, 2014 at 5:56 pm and is filed under Feature. You can follow any responses to this entry through the RSS 2.0 feed. You can leave a response, or trackback from your own site. Poor guy just wants to get a Honda. Lets hope it’s a 600, so it’s an upgrade (numerically?) from this lowly 450.